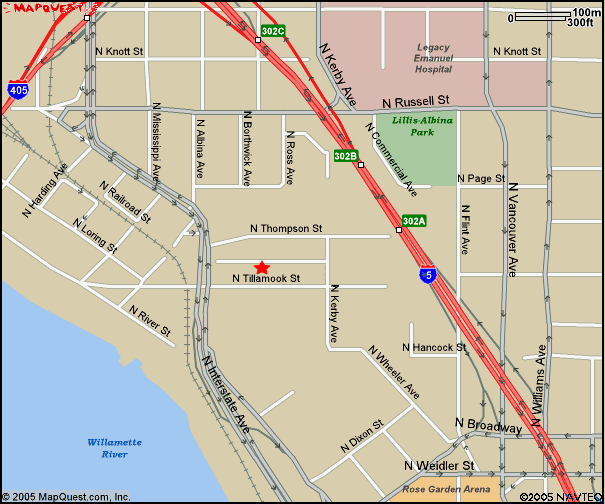 We are located down a large alleyway between Tillamook and Thompson that goes between Kerby and Interstate. It is only accessible from N. Kerby, not from N. Interstate. The studio is often confusing for people to find. We don’t have a sign indicating where we are, and the address is the same for the whole alley that we’re located halfway down. Follow GPS or internet map directions to 2119 N. Kerby Ave. This is the address for the WHOLE ALLEY. Drive about halfway down the alley and park in our spaces on the right, if they’re open (they are spaces marked 21 & 22 and have red and white signs saying “Type Foundry Parking Only”). If the spaces are occupied, you may park in any space that is not marked with a sign. In the event that there are not any available spaces, you may park at the end of the alley against the fence on the south side of the alley. Directly behind our parking spaces you will see an outside stair case that leads up to a red door on the second story. That is the studio. PLEASE NOTE that there is another studio (called Flora) that is at the south side of the alley entrance. Our address is on their door (since it’s the address for the whole alley) and people often think it’s Type Foundry because, well, it’s a recording studio, it also has a red door, and the address for the whole alley is on their door! We are very sensitive about intruding on their sessions so please make sure you’re at the right space. 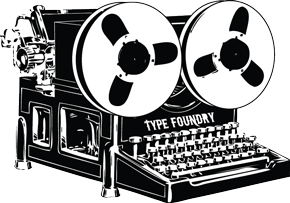 If you didn’t walk up a flight of stairs, you are not at Type Foundry. Please forward these directions to anyone in your party who will be coming to the studio.